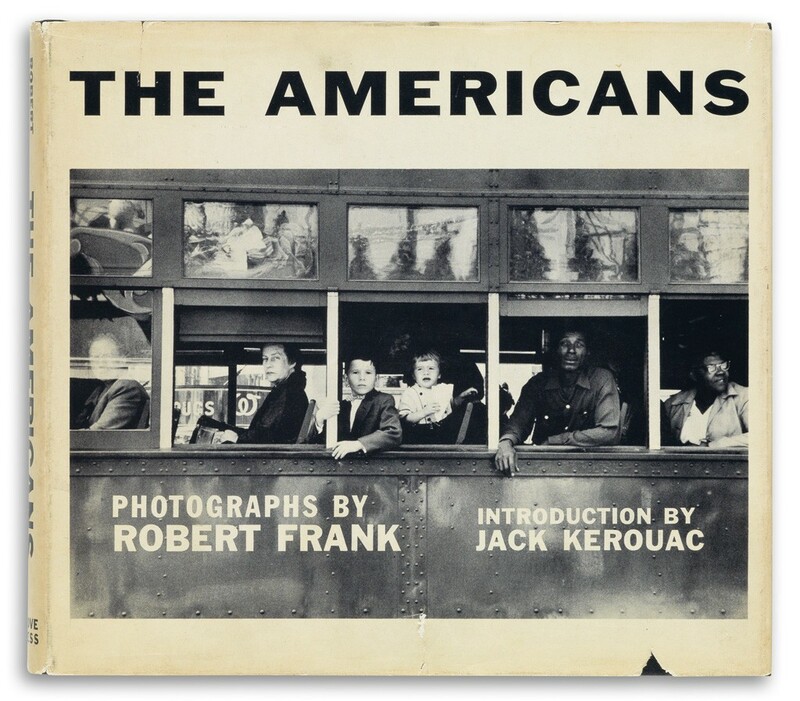 Robert Frank’s The Americans is an uncompromising portrait of America. Published in the United States in 1959, it remains one of the most influential photo books of the twentieth century. Numerous images from its pages have emerged as icons, while the book itself continues to be viewed with unparalleled reverence and devotion. 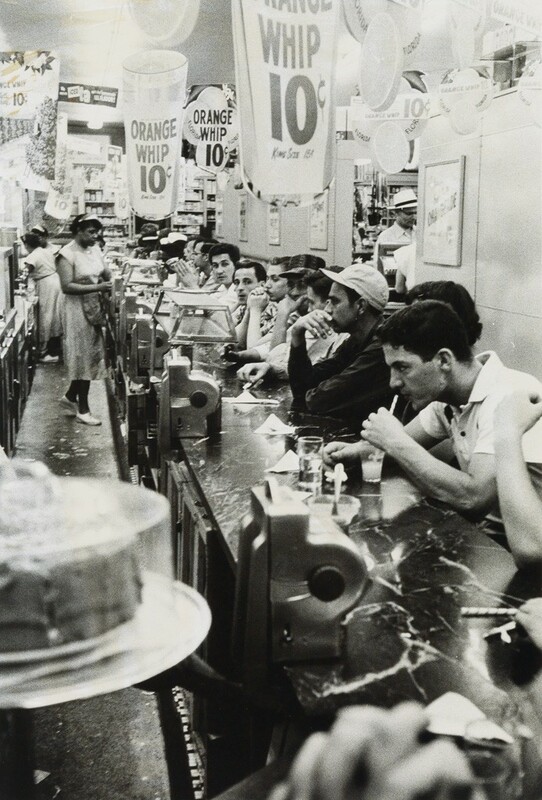 Lot 406: Robert Frank, The Americans, New York, 1956. Estimate $6,000 to $9,000. 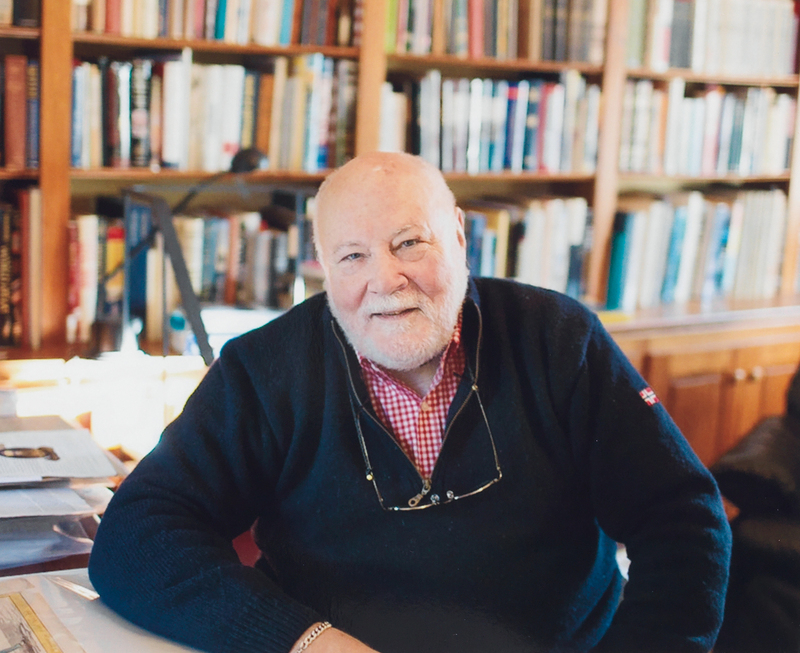 Frank, who is Swiss-born, was awarded a Guggenheim Fellowship in 1954. From 1955-56 he traveled 10,000 miles across America in search of a national identity in the growing country amid ritual, common spaces, and in the everyday. 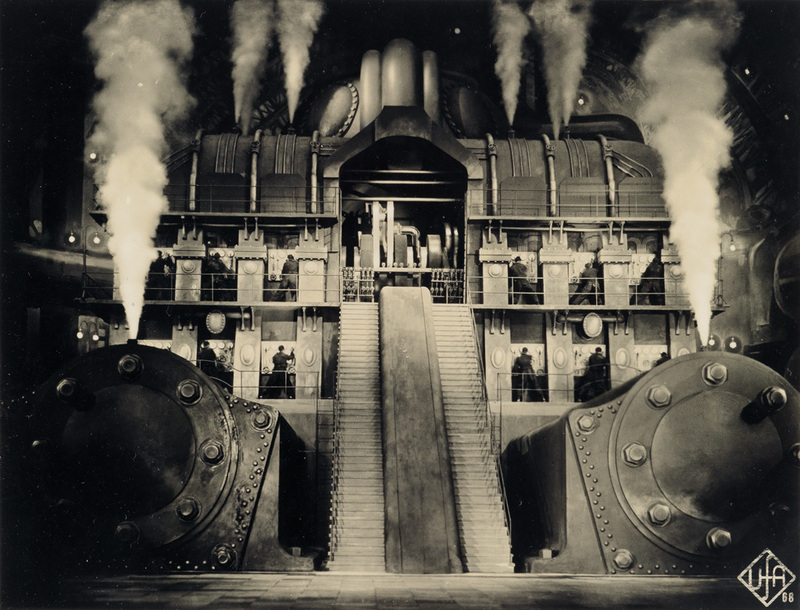 Exposing nearly 767 rolls of film, Frank whittled and sequenced his magnum opus to 83 images. Each section of the book begins with an American flag, and the stars and stripes form a visual cadence that resonates strongly throughout the work. Lot 406: Robert Frank, The Americans, New York, 1959. Estimate $6,000 to $9,000. Frank’s America is characterized by isolation, and by harsh economic and racial divides that are both threatening and recognizably human. As a European, Frank’s perspective is that of an outsider, yet his images are compellingly intimate and personal. Perhaps no one has seen—or will ever see—America quite like this, with an eye that is yearning, discerning and critical. 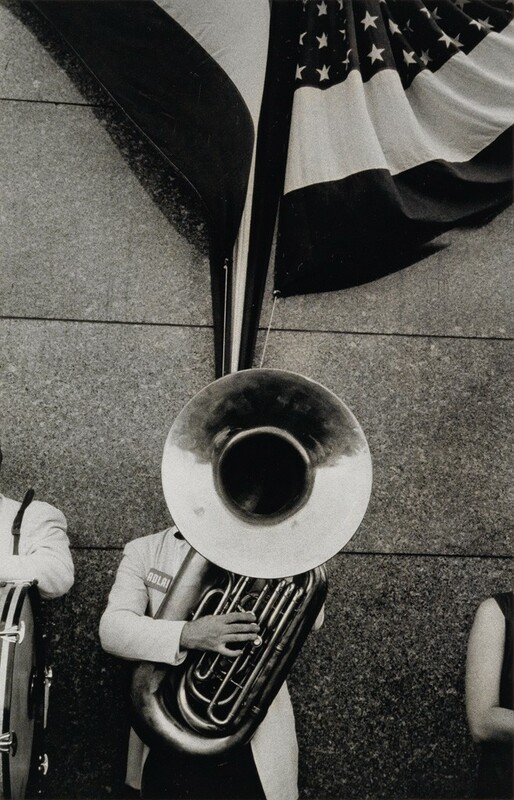 Lot 250: Robert Frank, Political Rally, Chicago, silver print, 1956, printed 1970s. Estimate $60,000 to $90,000. Political Rally, Chicago is at once a scathing critical take on patriotism and a witty look at the tuba’s yawning shape (hiding the dutiful musician) amid the banners and regalia of American politics. Lot 249: Robert Frank, Bar, Gallup, New Mexico, silver print,1956, printed circa 1970. Estimate $30,000 to $45,000. 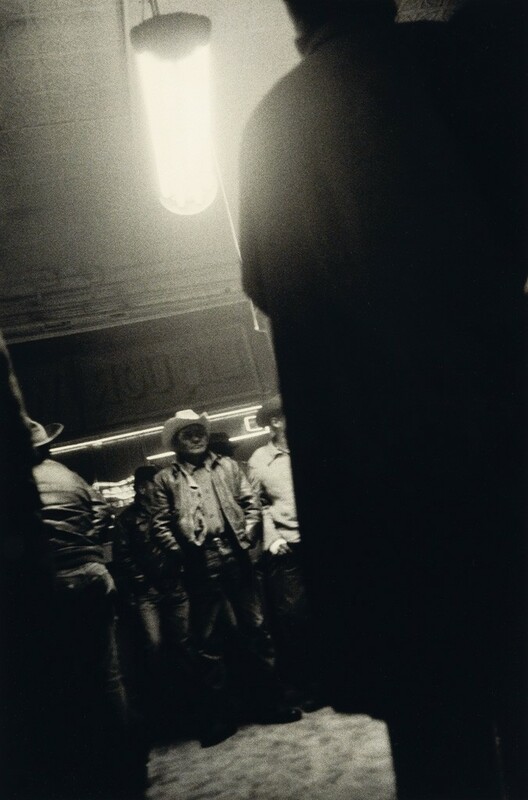 In Bar, Gallup, New Mexico, the patrons seem to regard each other warily, the figure at the right both shielding and towering in an intimidating manner over Frank’s camera. This is every place and no place, and Frank’s perspective is both furtive and familiar (the proverbial “regular”). Lot 251: Robert Frank, Detroit (drugstore), silver print, 1955, printed 1970s. Estimate $20,000 to $30,000. Above all, Frank is the consummate observer, shooting from the hip, on impulse. He seems to be everywhere in this book: on every corner, in every bar, on every road, finding the threads that keep us together and keep us apart. To see more of Robert Frank, visit our full catalogue.